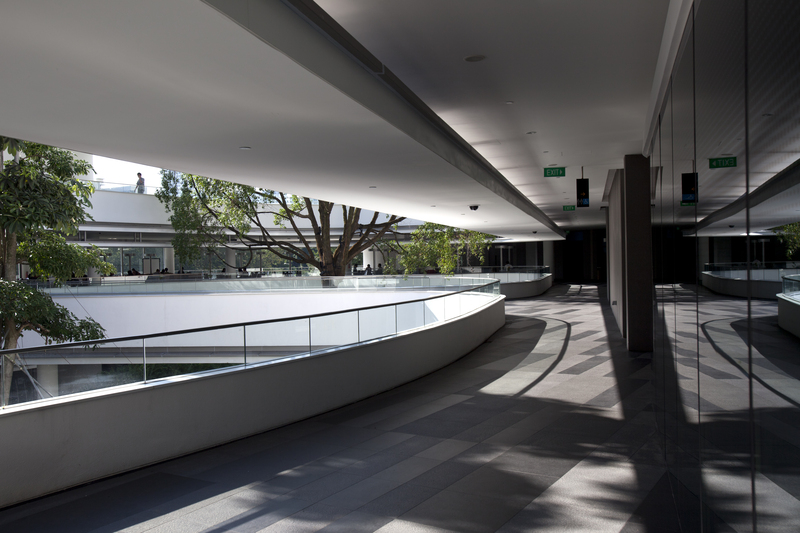 The curved forms have a facetted, high performance façade using double-glazing with fritted glass and horizontal sunshades to help achieve Green Mark Platinum. 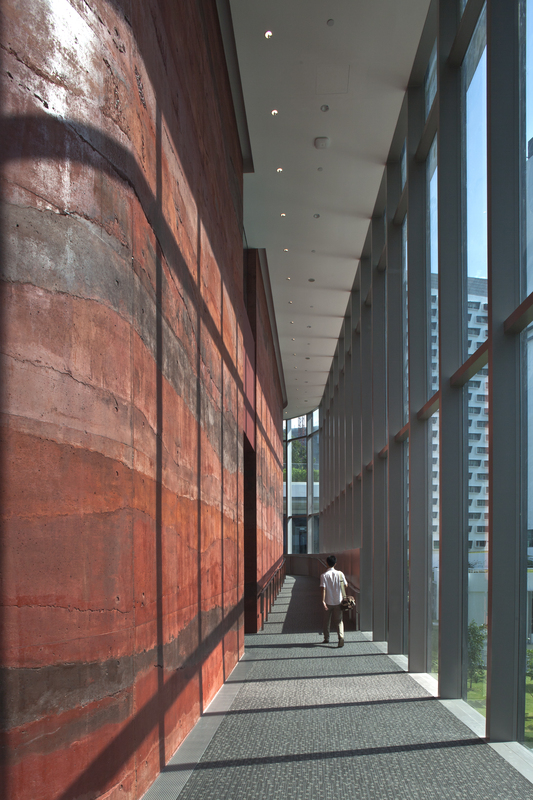 One of the façade design feats was designing a 10.5-metre tall façade to showcase the red ochre concrete wall of the lecture theatre with a slender aluminium mullion frame. 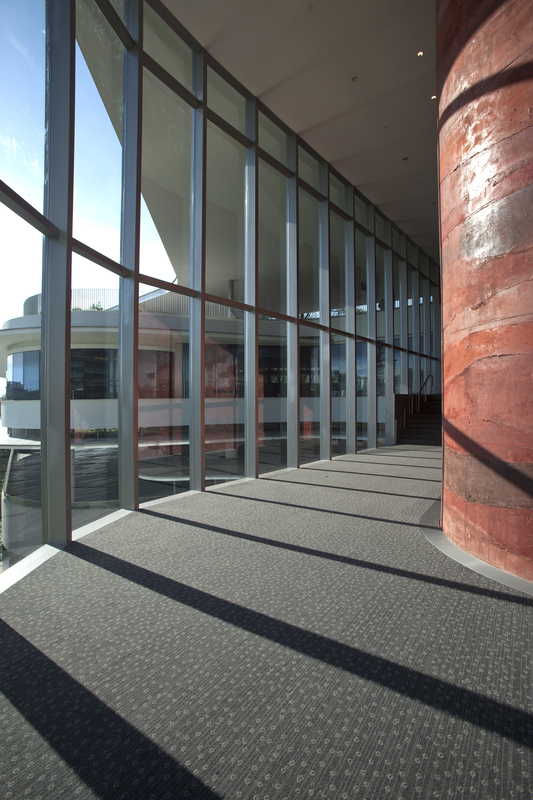 The façade team worked closely with W Architects to maintain a 2:1 ratio to the mullion that concealed a steel member inside to provide the structural integrity for the large span. 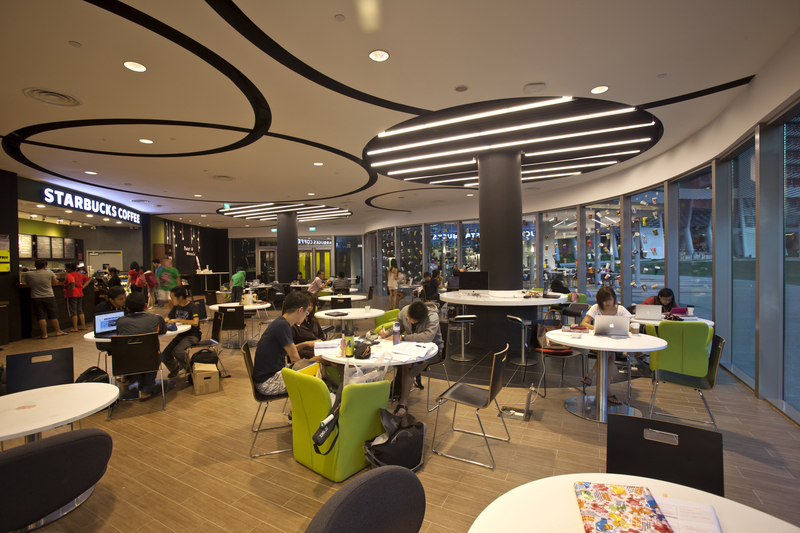 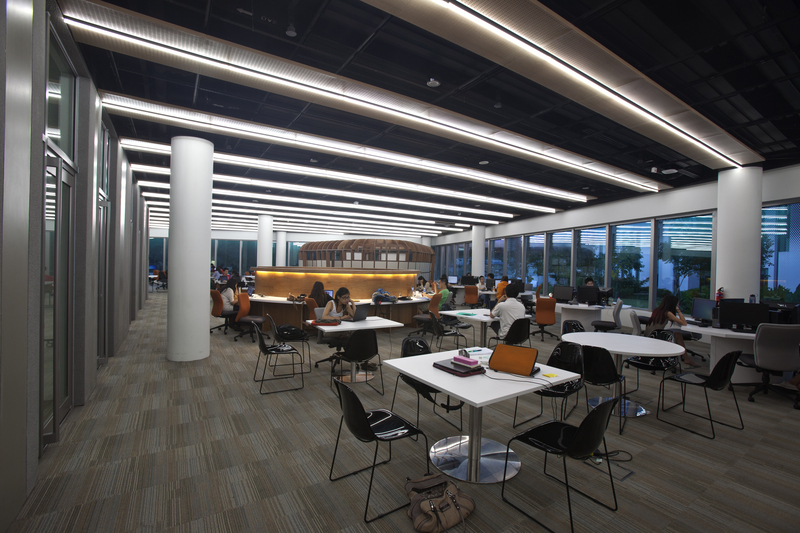 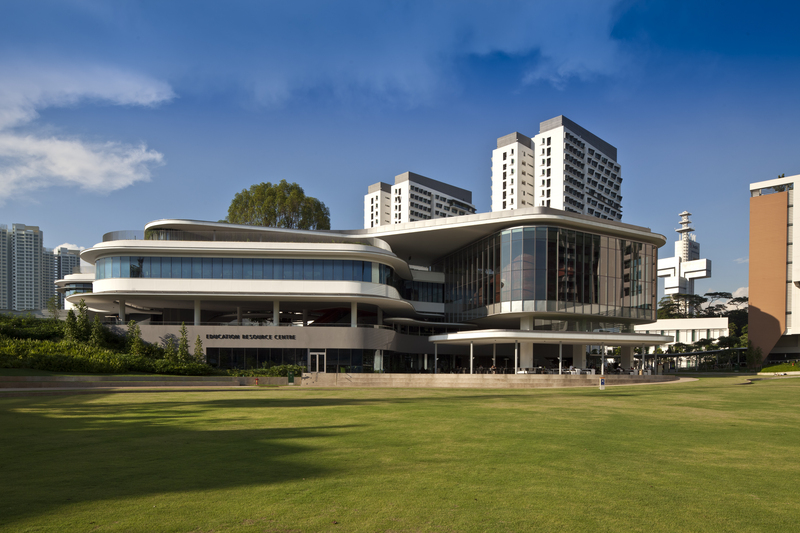 Located at the University Town of the National University of Singapore, the Education Resource Centre serves as a 24-hour activity hub that enables and fosters collaborative learning within the school community. 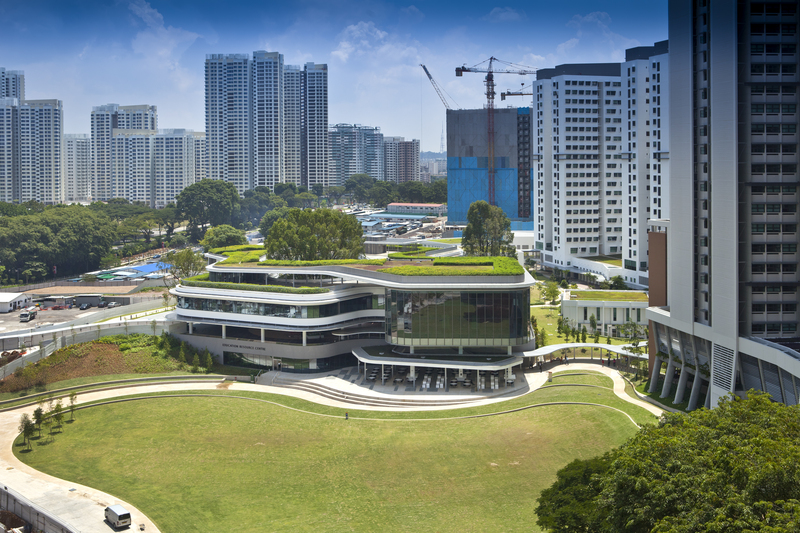 A 4-storey building surrounding a courtyard of existing Tembusu trees resulted in an organic arrangement of clusters. 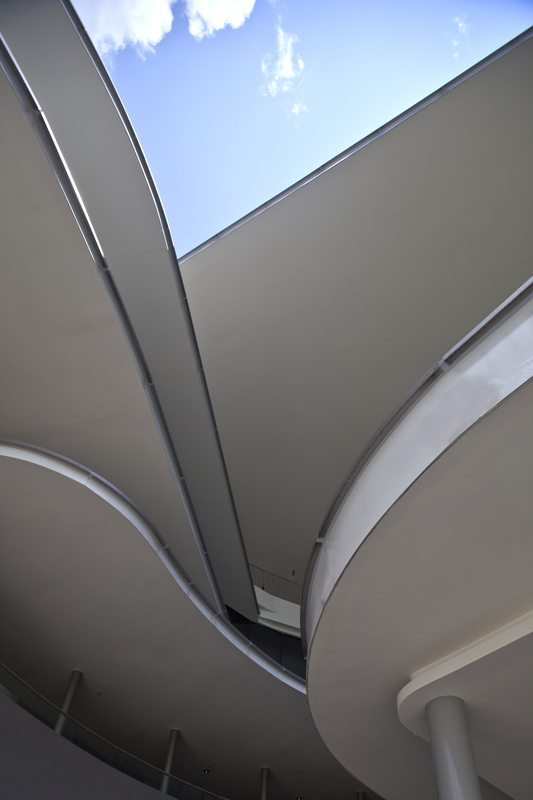 Curved forms house the various hubs with a 200-seat lecture theatre, works to the façade include window wall glazing and doors with aluminium clad canopies, sun shades and rainscreens. 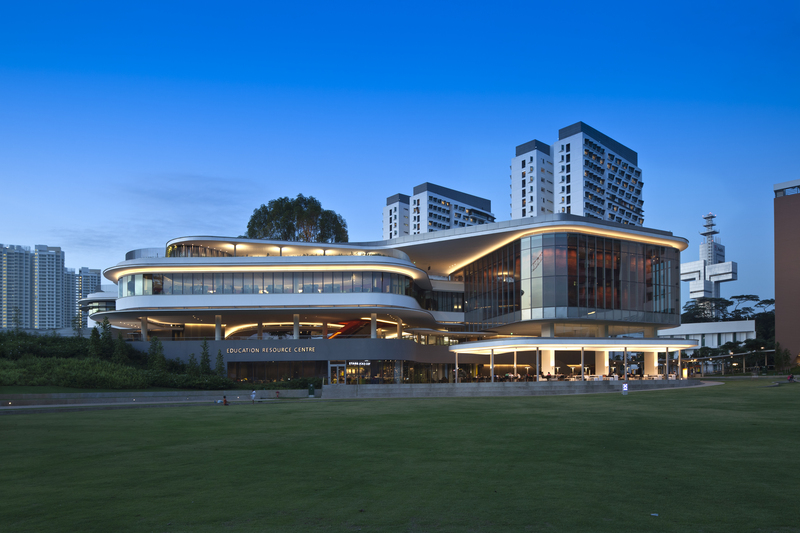 Meinhardt provided full consultancy services including production of tender details and technical specification, tender assessment, shop drawing and calculation reviews, performance testing, fabrication inspections, and site inspections.